Using Chrome, Safari, Firefox, or other web browsers, the Broadcast Pix Commander platform allows BPswitch customers to switch live productions from any location using a laptop, tablet, or smartphone. Its streamlined user interface makes it easy to execute sophisticated productions or control PTZ cameras, and file-based macros allow scripted commands that produce complex combinations of on-screen elements with a single touch. “Many organizations have embraced touchscreens as the preferred method for switching live productions,” said Tony Mastantuono, product manager. 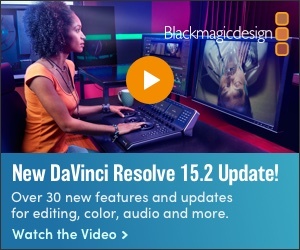 “Commander has already helped change traditional video workflows in the control room. Now, it lets you move beyond your control room for IP-based remote control video production with your mobile device. Broadcast Pix Commander is a software-based option for all BPswitch systems and is available for $995. Another option, the BPcommand Toolkit, allows users to create and modify custom browser-based interfaces, so users can create an elaborate control screen for experienced TDs or a simple interface a novice can master in minutes. The A service is available to customize the interface.